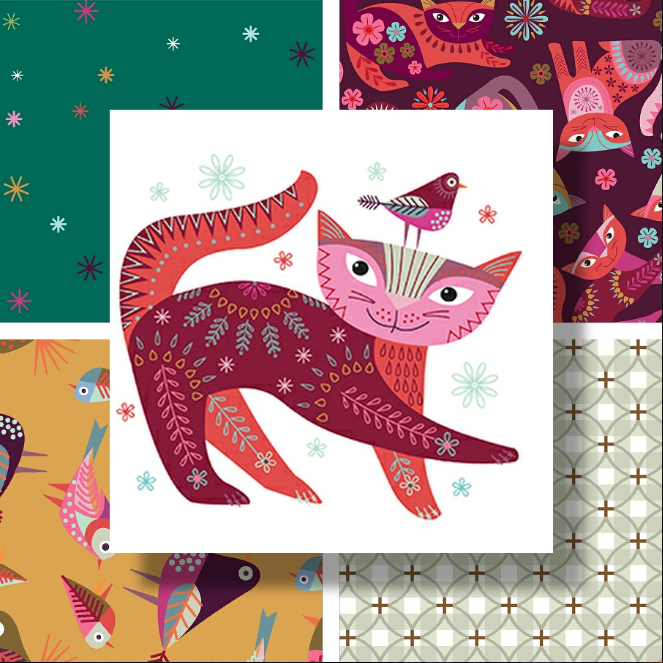 Nancy Nicholson is a rising star in textile and paper design. Founder of a successful business selling her distinctive embroidery kit designs, Nancy is moving into the retail spotlight. Instantly recognizable, her ‘Contemporary Folk’ design style draws on East European and mid 20th century influences, not least inspired by her mother Joan Nicholson, an embroideress and designer in the 1950’s. Nancy has an MA in Fine Art Textiles from the Royal College of Art. She lives and works in Kent, England. She was selected for the coveted ‘Spotted’ display at Top Drawer in 2015.